This family-friendly Cebu hotel is within a 5-minute walk of Gaisano Country Mall and Banilad Towncenter. Cebu IT Park and Cebu Business Park are also within 3 mi (5 km). This hotel features 2 restaurants, 3 outdoor pools, and a fitness center. Free WiFi in public areas, free self parking, and a free shopping center shuttle are also provided. Additionally, a bar/lounge, a poolside bar, and a coffee shop/café are onsite. All 150 rooms provide conveniences like refrigerators and coffee makers, plus free WiFi and TVs with cable channels. 24-hour room service, minibars, and free newspapers are among the other amenities available to guests. 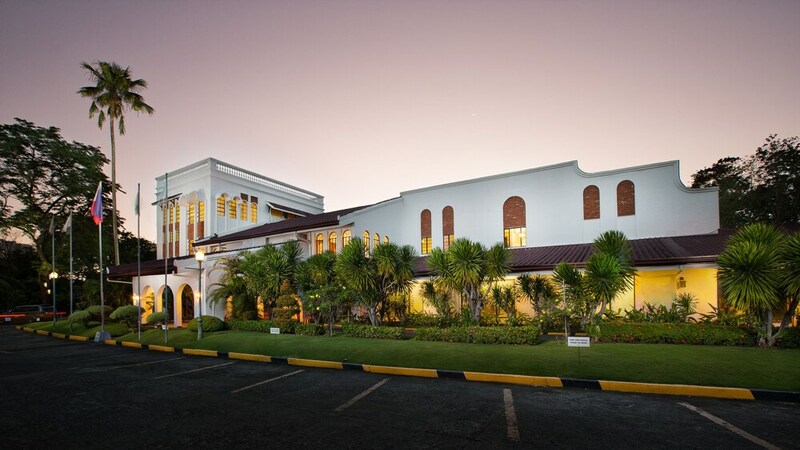 Montebello Villa Hotel features 3 outdoor swimming pools, a fitness center, and a children's pool. Dining is available at one of the hotel's 2 restaurants and guests can grab coffee at the coffee shop/café. Guests can unwind with a drink at one of the hotel's bars, which include a poolside bar and a bar/lounge. A computer station is located on site and wireless Internet access is complimentary. A business center is on site at this 3.5-star property. Event facilities measuring 5382 square feet (500 square meters) include a conference center. This family-friendly hotel also offers tour/ticket assistance, barbecue grills, and an arcade/game room. For a surcharge, a roundtrip airport shuttle (available 24 hours) is offered to guests. Onsite self parking is complimentary. Montebello Villa Hotel has designated areas for smoking. La Terraza Restaurant - This restaurant specializes in international cuisine. Open daily. Cafe Bougainville - Overlooking the garden, this restaurant serves breakfast, lunch, dinner, and light fare. Open daily. 3 outdoor swimming pools are on site along with a children's pool. Other recreational amenities include a fitness center. This property offers transfers from the airport (surcharges may apply). Guests must contact the property with arrival details 24 hours prior to arrival, using the contact information on the booking confirmation. Only registered guests are allowed in the guestrooms.